Since July 2014 we have been working with UN Women, the UN body that promotes gender equality – to write and re-edit material. We have edited and rewritten around 40 blogs and case studies written by women entrepreneurs. ProseWorks has rewritten over 1500 information updates on working and living conditions for this EU Agency’s website. We regularly write and edit blogs and contributions for this UN body responsible for promoting women and gender equality. Drafts come in all shapes and sizes and from every corner of the world. We soon knock them into shape. We wrote blogs for the executive director on all the latest developments at the National Career Service. Healthcare UK promotes the UK health sector across the globe. Our role is to write blogs on behalf of health experts and leaders, giving readers understanding and insight into how the UK can meet the health needs of overseas countries. Our copywriting team rewrote HSL’s corporate website, bringing their technical expertise to life in language everyone can relate to. 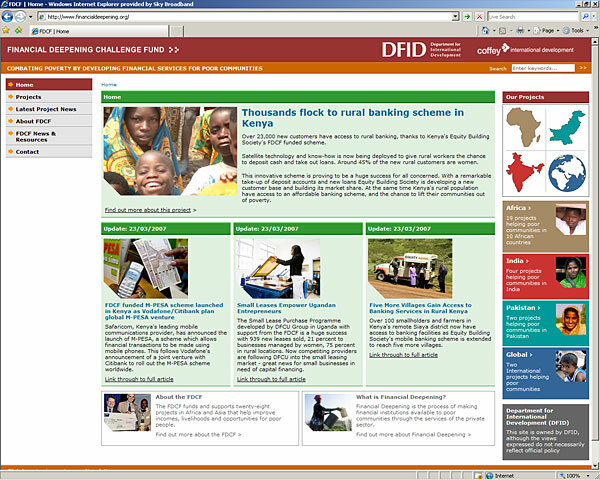 DfID approached us to write summary pages on key issues for its main website. We have also undertaken plain English editing for this Whitehall department. 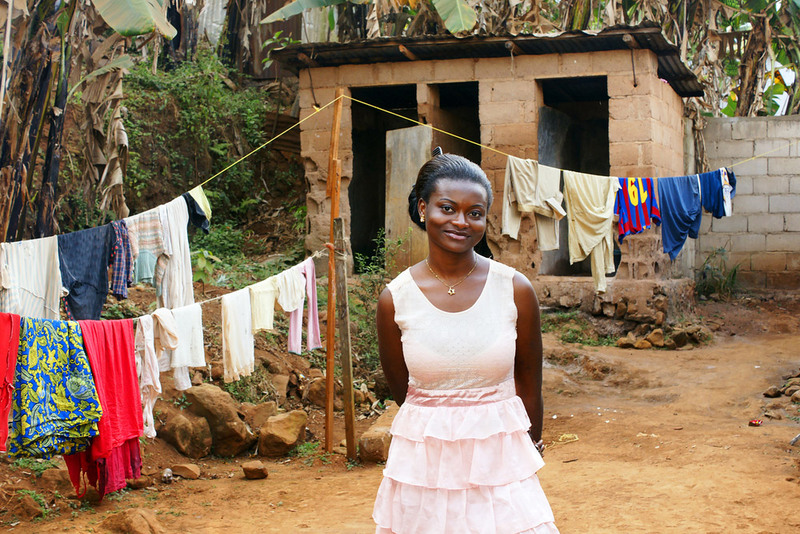 The financial deepening fund aims to tackle poverty in developing countries by boosting financial services to poor communities. Our web writing and editing services soon got to grips with this issue by using simple and direct language to explain the intricacies of this fund. The links between natural resources, corruption and human rights are exposed by this international advocacy group. Our web writing skills helped unravel the details, in language everyone can understand. We have devised and written web-based resources for four European-wide health and safety campaigns. 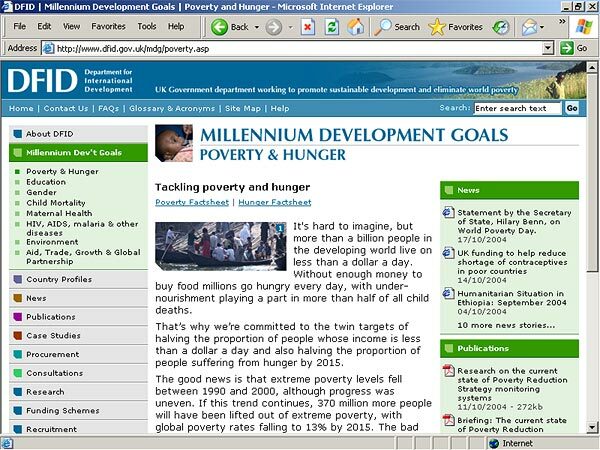 E-factsheets and corporate web copy have also been penned by our web team. The NGO Forum encourages debate and discussion on public health issues. Its website needed a complete revamp. Our team was therefore called in to clarify the messages and sharpen up the copy. 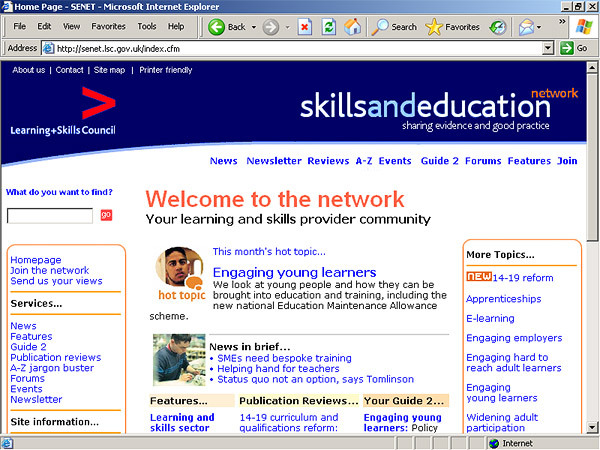 The Learning and Skills Council’s Skills and Education Network is a new website designed to convey news and development in the field of post-16 education and training. ProseWorks’ web writing team was called in to develop editorial concepts and write jargon-free and reader-friendly copy for the site. The lottery is now ten years old. 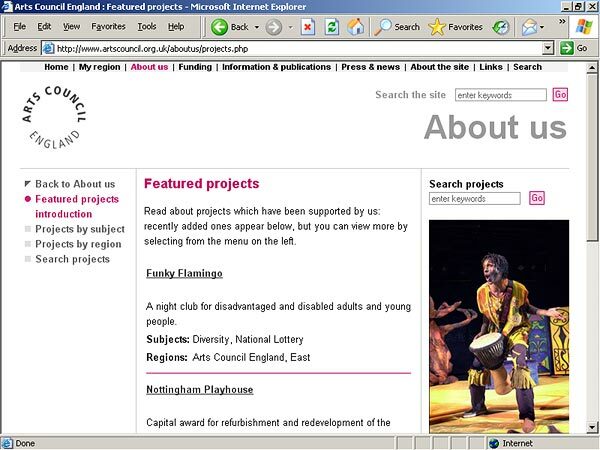 To mark this anniversary Arts Council England commissioned ProseWorks to edit case studies for its website which capture the diverse range of arts projects funded by the lottery. We have written e-commence letters and bulletins for this major sight loss charity, as well as designing and writing impact reports and other web-based downloads.